Moving house can be an arduous task at the best of times, especially if you’re a working parent with a young family to look after. In this case, preparing for a move can leave you feeling frustrated and at a loss of what to do. Do you start packing, changing your address on documents or preparing your kids for life in a new area? Well we understand that during this taxing time, you will probably be seeking the help of a removal firm. If you need a man and van service, London Removal is truly the only option that you need to consider using. A highly used and respectable man and van company, we can take charge of your removal project, leaving you to get on with your day to day activities. Our man and a van option can provide you with a cheaper alternative to hiring large removal trucks and lorries and therefore prove to be highly popular. Don’t be condemned to hiring a van or lorry and carrying out the move yourself just because you feel restricted as to the companies you can hire based on their pricing. Our van and man services are affordable to all, so whether you are a student living on a tight budget or a business that wants a cheap removal option, we can help you with our fantastic range of services. So give us a call today on 020 8746 4506 for a chat with one of our friendly advisors and to book one of our services. As a man with van company we are highly flexible and from the moment you book with us, we will make your removal project a priority. So get in touch with us today to arrange a time and date and let us see to it that all of your removal requirements are met. We are able to take on your job at short notice if needs be and can negotiate a time where we can come around to get your situation sorted. All of your needs will be met quickly and efficiently which means you can get on with your day to day lives, safe in the knowledge that a key component of your house relocation has been met. Quality resonates throughout our company and the large number of our clients that we leave happy and satisfied is a testimony to our success in providing the best possible services. All that you need to do is browse through our website to see our testimonials page, which will surely reassure you that our customers are at the heart of everything we do. No job provides too much hassle for our company and we will work tirelessly to accommodate you in every way possible. There are no unreasonable requests when it comes to a removal project, and we are happy to take on every type of job no matter how big or small it may be. So don’t risk injury, lugging your heavy items across your house to a self hire van. Instead let us do all the work for you. Just make sure that your boxes are packed and clearly labelled, and our strong removal men will do all the heavy lifting. 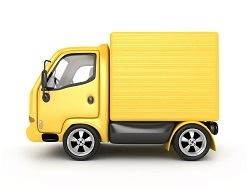 Hiring a man with van service with our well established company will ensure that you get a unique removal service that is tailored to meet your exact requirements. Everything that you could possibly want from a removal company can be found with London Removal, so take the time to call our advisors on 020 8746 4506.